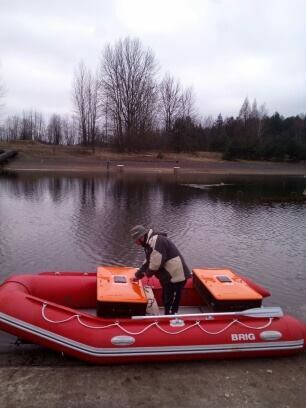 GPR exploration of fresh water reservoirs allows to examine in details the bottom. The important feature of GPR use that is to be mentioned - it can examine the structure of the bottom. I.e. there is possible to find underwater items located inside the bottom stratum. Also GPR can give information about the thickness of bottom silt or bottom ground, and its volume structure. The same exploration is very problematic if done by other means. That unique feature of GPR can find its application in underwater cable or pipeline laying, and in archaeological explorations of underwater items.